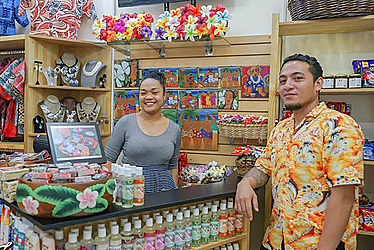 Janet’s, the renowned cultural retailer from Samoa, has opened a new outlet at the Iconic Tanoa Tusitala Hotel in Apia Samoa. 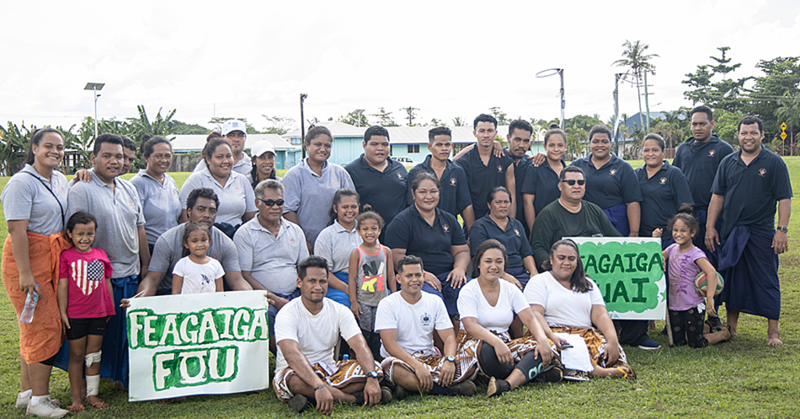 The opening took place on February 1st and was made in partnership with Tanoa Hotel Group. Janet’s Tanoa Tusitala will offer guests of the Hotel both premium cultural products from Samoa and the Pacific as well as everyday convenience items to enhance guests’ experience. Director of Janet’s Mrs. Janet Sablan remarked “we are very proud to have been invited by the Tanoa group to offer guests to Tanoa Tusitala the best of our Samoan and Pacific brands and products. 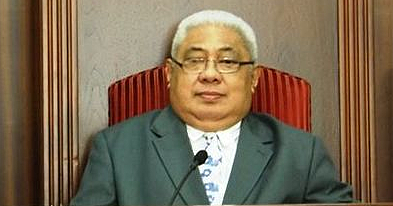 Tanoa Tusitala is one of the pillars of Samoan Tourism. Janet’s and Tanoa Tusitala Hotel have a shared history and we have been involved in many projects with the hotel over our 28 years of operation. However, this new retail experience for Tanoa guests marks a new chapter for both Tanoa Tusitala and Janet’s and we are very excited”. Tanoa Tusitala Hotel has long been a hallmark of Samoan hospitality and takes its signature ‘Tusitala” (teller of tales) name from Robert Louise Stevenson the great Scottish writer. Stevenson wrote of his love for Samoa and its people and in his last years etched his name into the modern history of Samoa. Like Stevenson himself, the Tusitala Hotel has woven its own story into the experiences of guests to Samoa enhancing their enjoyment and appreciation for the Treasured Islands of Samoa. According to Janet’s Creative Director Lisha Sablan “we designed the overall look of the Janet’s store to reflect and highlight the key elements of Tanoa itself and to blend in with the rich architecture of the Hotel which features hand-tied fales and impressive woodwork. The Tanoa lobby is a work of Samoan art itself with its array of local artwork and ornate carvings and this inspired us to showcase newly produced cultural pieces in store which we have been working on for some time”. Tanoa Tusitala Hotel offers a full range of guest services and facilities. The hotel boasts both state of the art conference facilities and recreational facilities. Whilst situated in the heart of Apia township, Tanoa in set within a 6 hectare garden surrounding capturing the essence of Apia. • Master Carved Souvenirs and Keepsakes made form local and indigenous fish bone, woods and shells. Janet’s Tanoa Tusitala will be open 7 days a week, email at [email protected] or online at www.janetssamoa.com Opening Hours are from 10.00am to 6.00pm. The Tanoa Tusitala Hotel is a four and a half star iconic property in the heart of Apia the capital city of Samoa. The hotel plays host to holidaymakers and conference and meetings year round. It is a stone throw away from all major sites and attraction in Apia. The hotel is known for both its convenience and service. It is a home away from home for travellers to the Treasured Islands of Samoa. The Hotel is managed by the Tanoa Hotel Group a family owned and operated business established more than 40 years ago, with 10 hotels in the South Pacific, in Fiji, Samoa and New Zealand.